Posted December 19th, 2011 by David Porter & filed under Technology. Not quite for the loved one who has everything, but there is much talk of the next coming thing, the must have gizmo for the tech-savvy. A 3D printer. It builds a three dimensional object by layering. 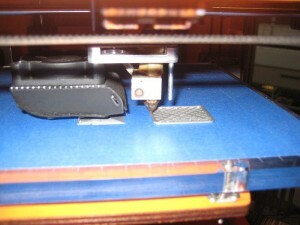 It is a process called ‘additive manufacturing’. It marks a move away from mass production where materials are often cut, ground, washed away to leave an object of worth behind. Under 3D printing, there is less wasteful evolution by positive creativity of an object. A Berkshire company, 3T RPD, describe themselves as: ‘a market leader in Rapid Product Development and 3D modelling providing Rapid Prototyping, Metal Prototypes and Rapid Manufacturing services to a diverse range of industry sectors, including Automotive, Aerospace, Medical, Architectural, White Goods, Marine and Defence’. They are leading players in a manufacturing process called Selective Laser Sintering (SLS), where layers of powder (like nylon, glass filled nylon) are fused into a 3D model by a computer-driven C02 heat laser. Additional layers are sintered, almost to an endless degree, so huge things can be made. The process itself has been around for 30 years or more (often used to make prototype vehicles), but now it is being developed through faster, smarter, cheaper 3D printers to make virtually anything. 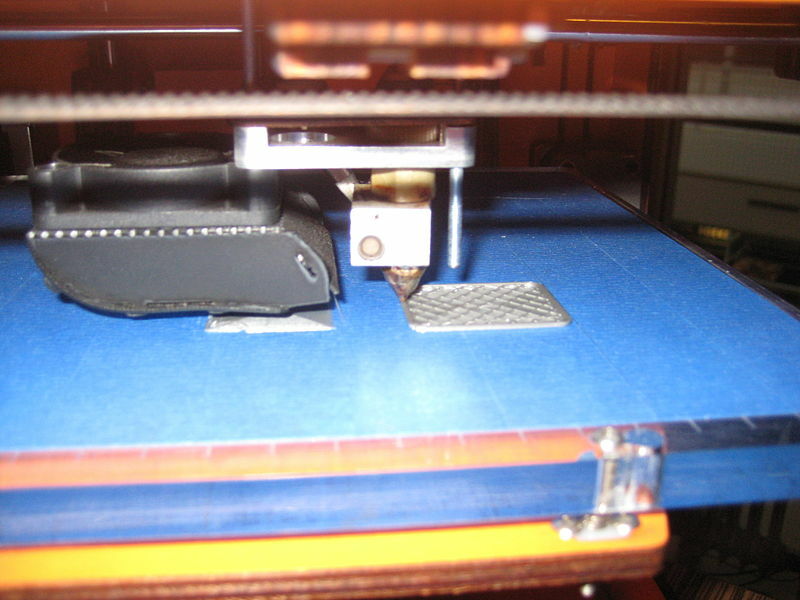 The University of Bath made RepRap, ‘replicating rapid-prototyper’ within a domestic machine. The printer analogy comes not from squirting ink, but placing layers of biodegradable plastic, layer by cooling layer to make everyday objects, from hangars to hooks. 3T RPD describe the process as ‘self-supporting’ as parts can be ‘nested together’. Many rival makers have entered the market, and as inventors and entrepreneurs get to work, they are evolving, hybrids upon hybrids. The quality of both machine and products improves. Dimension Printing is but one company advertising domestic printers for sale in the office. Users can create ‘onsite perfect working models directly from CAD made of tough ABS plastic that can be sanded, milled and painted’. They claim 3D printers give faster turnaround on projects, they reduce labour and material costs, offer greater detail in models, have a high durability and are easy to use with no specialised training. The concept of such machines has been around for years, usually in the imagination of sci-fi writers and enthusiasts. Looks like the reality is here. A machine that can make a copy of itself from raw materials taken from the environment of the machine (as Nature replicates itself) is at present called a 3D printer. One day it may be called a god. 3D printers being demonstrated at YouTube.